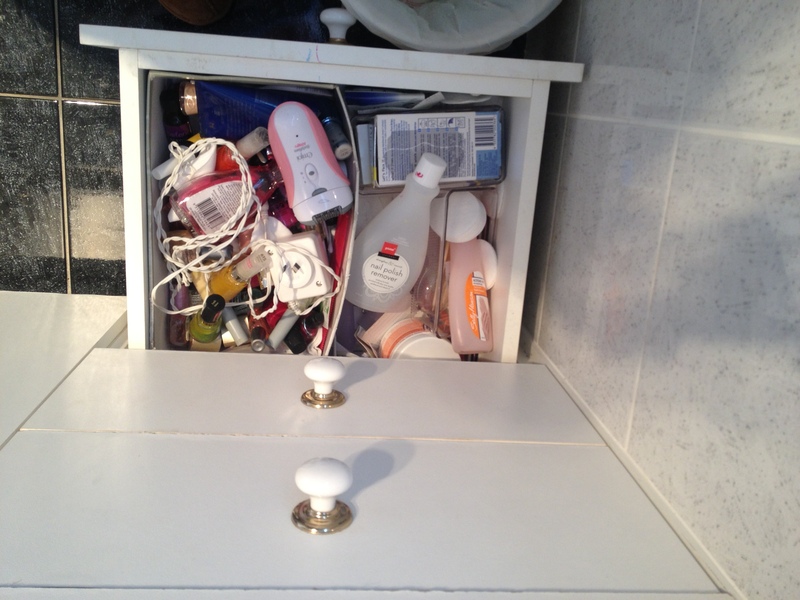 The final post in the series for now is my ensuite. 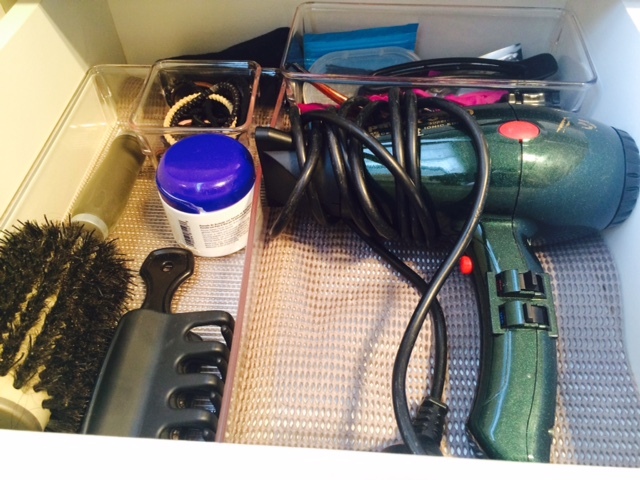 I have seriously reduced the products I need for my hair, face and feet. I’m also becoming more conscious of the chemicals that I put on my face, in my hair, and so I am slowly moving to more natural products as I use up old products. 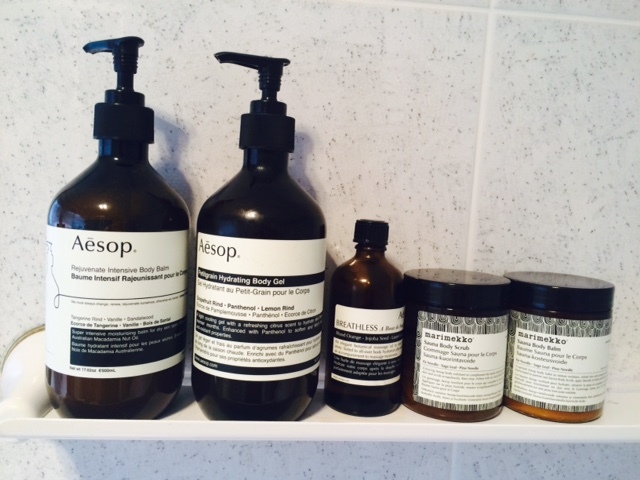 For example, I am slowly moving my skin care over to Aesops, which I love. I have made my own deodorant and lip balm following some youtube video. So again – this is a journey. 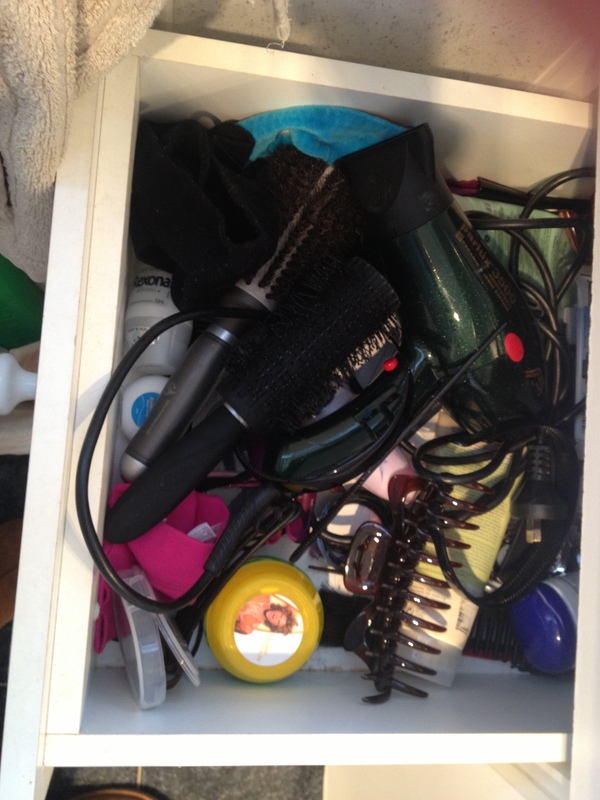 The journey for me began with throwing out the things that were really old, out of date or no longer relevant to my hairstyle/make up look of today, which has been simplifying significantly. Then I packed away doubles of whatever I have and created a list of those items in my purse so I don’t forget and buy more. I still felt controlled by my stuff. I still had way too much of everything. So my efforts now are even simpler again – and I’m sure this will reduce even further with the next cull. 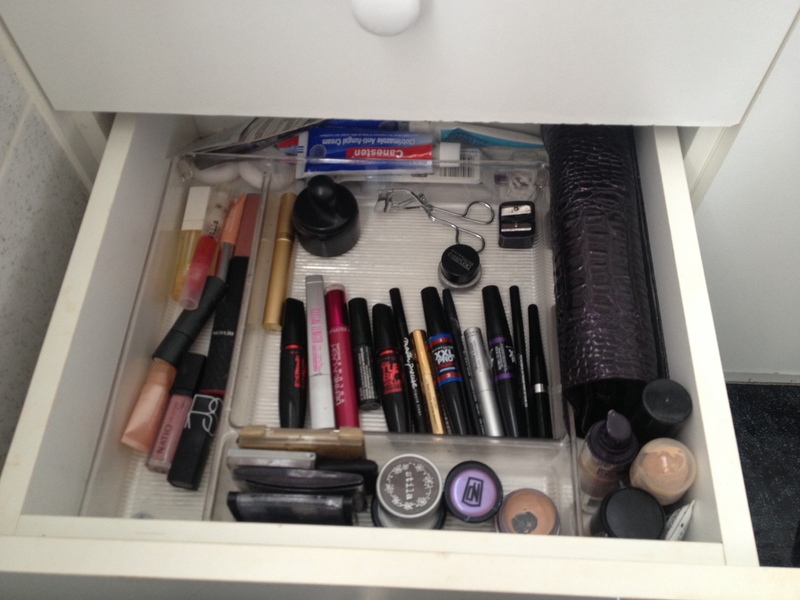 I only have minimal make up in a make up acrylic organiser. 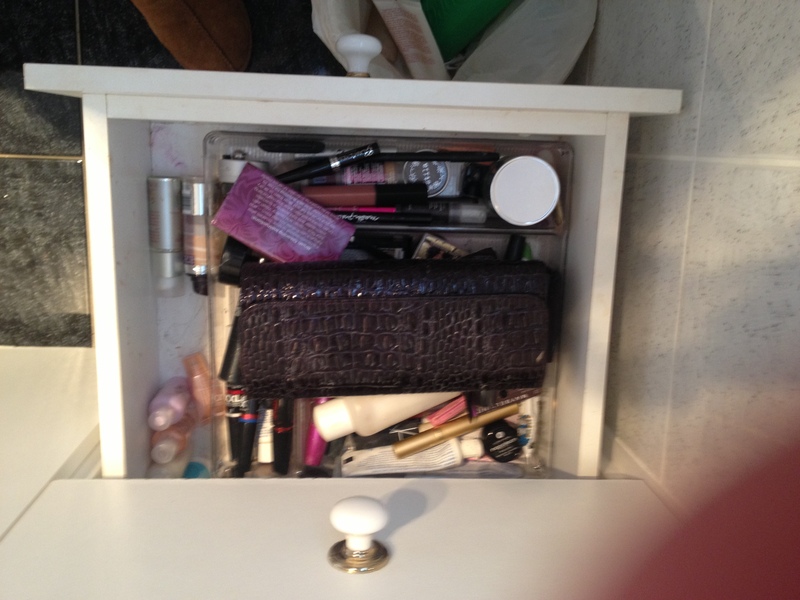 I have two mascaras, two eyeliners, four different eye shadows and four different make up brushers in the drawers. 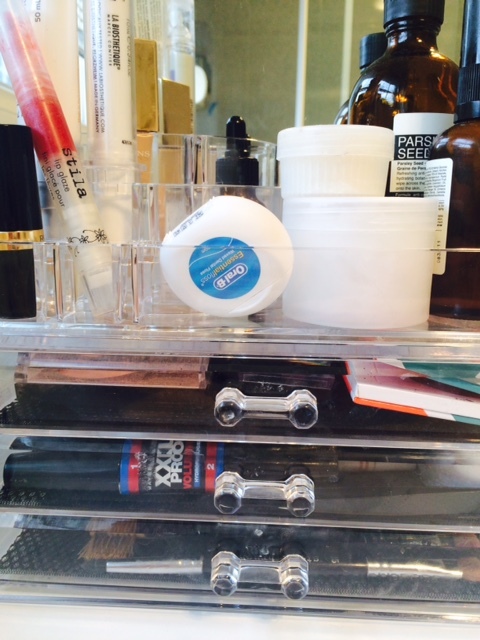 I have my Foundation, eye cream, toner, home made deodorant and lip balm on the top of the organiser. 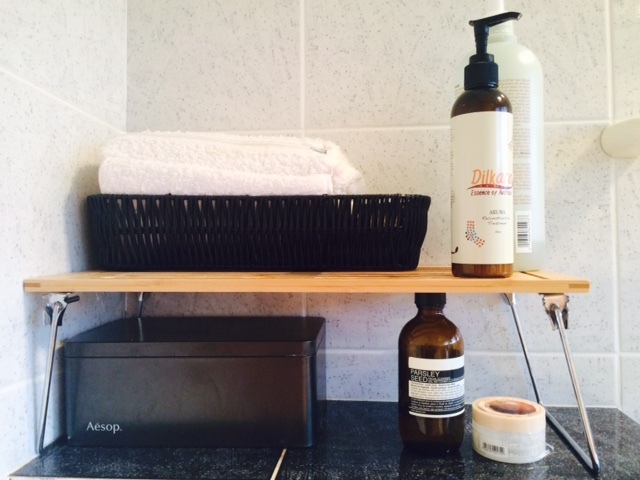 My bath products are right near the bath tub. 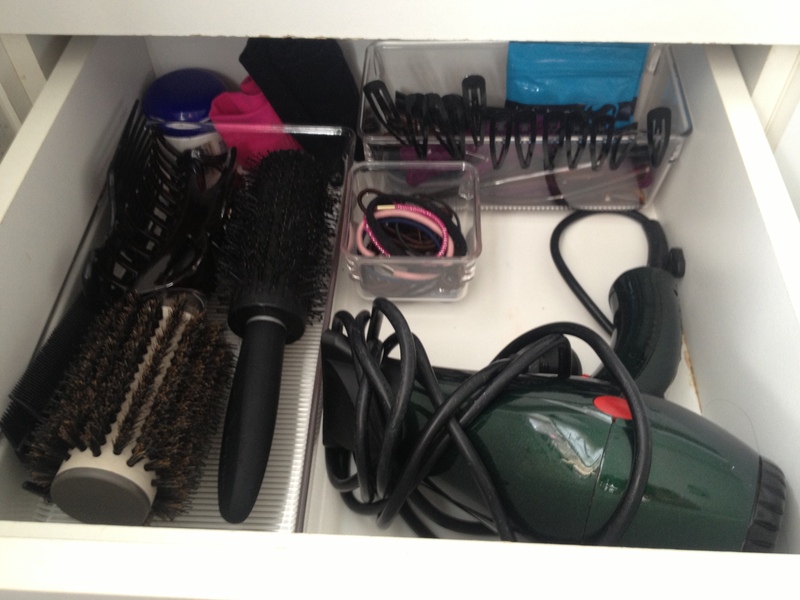 And my hair, blow-dryer and nails drawers are looking a whole less busy. And I feel like I could simplify a lot more from here. It’s a work in progress. 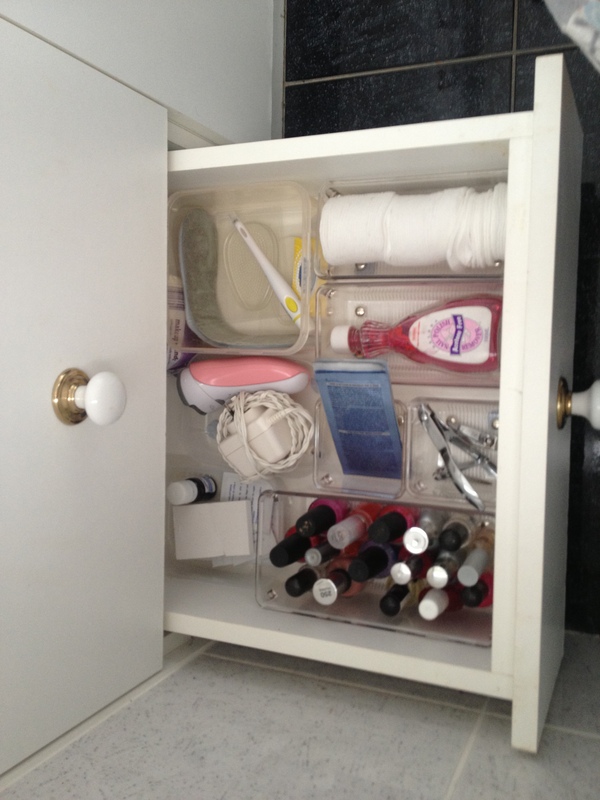 I’m aiming to get everything down to two drawers and the acrylic organiser. 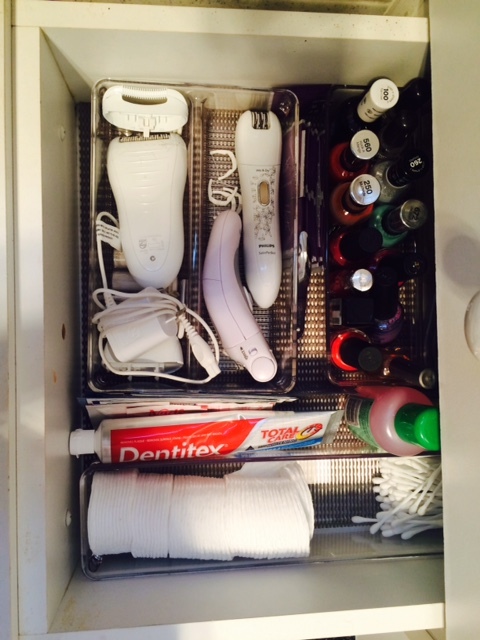 What is your next household simplicity project?